En suite accommodation set in half an acre of gardens with stunning views. Visit Ilkeston Derbyshire and the surrounding villages and stay in B&B, hotel or holiday home accommodation provided by BedPosts members. Ilkeston was listed in the Domesday book as “Tilchestune”. The town name was recorded as being called “Elkesdone” in the early 11th century. The town name derives from Old English meaning “Hill of a man called Ealac”. 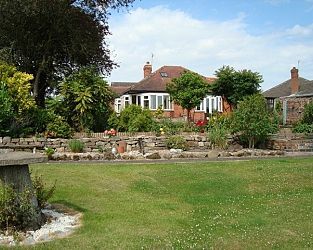 If you seek accommodation near Ilkeston in Derbyshire you have come to the website of a “club” of providers who offer affordable quality accommodation around UK in hotels, bed and breakfasts, guesthouses, inns, and restaurants plus self-catering cottages and apartments .